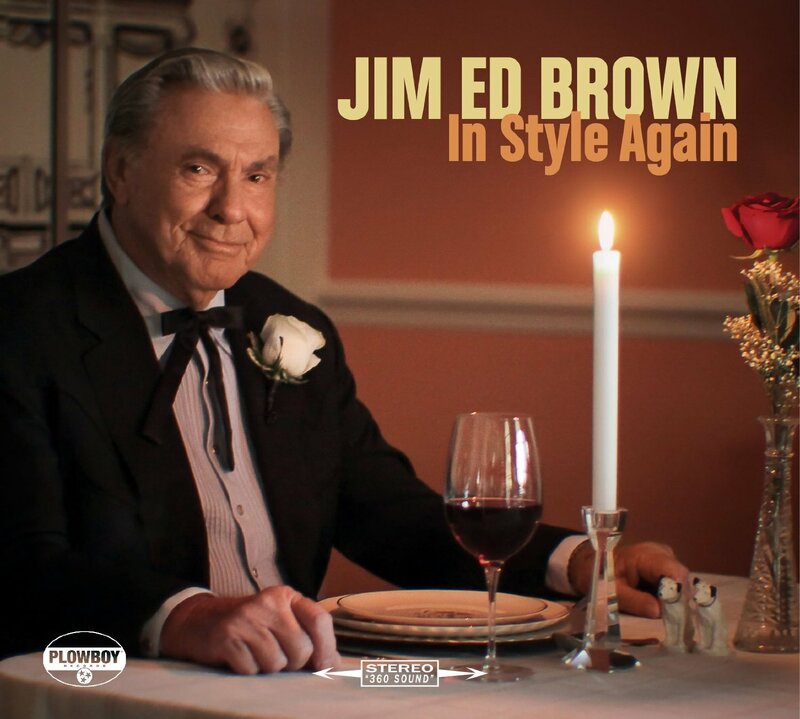 I can’t tell you when Jim Ed Brown last issued a solo album of new material. The last one I recall was It’s That Time Of The Night on RCA in 1974, After that there were some duet albums with Helen Cornelius, but even the last of those albums came in 1980. There may have been something after that but I don’t recall anything. Anyway, it truly is a pleasure to have some new material from Jim Ed. The voice isn’t quite as smooth as it was in 1954 or 1974, but it is still a good voice with warmth, depth and character. While not specifically designated as a ‘concept album’ , the general theme of the album is that of an older person looking back at life. The album opens up with “When The Sun Says Hello To The Mountain” a wistful older song I’ve heard before. Famous French-Canadian singer Lucille Starr had a huge hit with this record singing the original French lyrics. Marion Worth had a country hit with it in 1964, and Mona McCall (Darrell Mc Call’s wife) does a fine version of the song (using mixed French and English lyrics under the title “The French Song”), but Jim Ed nails the song and makes it his own. It’s a lovely ballad with a beautiful melody. Jim Ed is joined by his sister Bonnie Brown and the song sounds like a song the Browns could have recorded in their heyday. Chris Scruggs plays Hawaiian-style steel guitar on the track. It brings back sweet memories of you. I’m alone dreaming only of you. “Tried and True” was written by the album’s producer Don Cusic, one of six songs Cusic wrote for this album. The song is a mid-tempo ballad, a love song about the kind of love the singer bears for his true love. 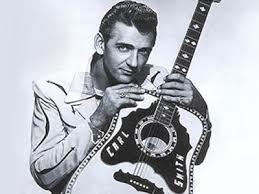 “In Style Again” was produced by Bobby Bare and issued as a single a year or two again. It wasn’t really part of this album project, (there is no overlap among the musicians used on this track and the rest of the album tracks) but it was added to the album and fits in nicely with the general theme of the album. It should have been a hit, but of course, radio won’t play songs by octogenarians, no matter how high the quality. Don Cusic penned “Watching The World Walking By” a mid-tempo ballad of the life as seen through older eyes. “You Again” was a #1 hit for The Forester Sisters in 1987. Jim Ed is joined by Cheryl & Sharon White on this slow ballad, another retrospective love song. Paul Overstreet and Don Schlitz wrote this song. Jim Ed digs into the song bag of Hall of Famer Cindy Walker for “I Like It”. It’s another mid-tempo ballad as is the next track, probably the most famous song on the album, “Don’t Let Me Cross Over”, a song which spent eleven weeks at #1 in 1962 for Carl & Pearl Butler. Jim Ed is joined here by his former duet partner Helen Cornelius. They still sound great together although Jim Ed and Helen don’t sing with the exuberance of the original. This song does not quite fit the general theme of the album since it’s an old-fashioned (almost) cheating song. “Older Guy” is another song from the pen of Don Cusic, this one another mid-tempo ballad comparing the energy of younger guys to the wisdom of older men. This song straddles the line between jazz and country. “It’s A Good Life”, also written by Don Cusic continues the narrative of the album, which is the view of life through the eyes of an older man. Bill Anderson chips in with “Lucky Enough” , probably the most up-tempo song on the album. In this song the singer recounts the thing in life that really represents good luck. If you’re lucky enough to be in love, you’ve already won – you’re lucky enough! Sometimes we forget that. “Laura (Do You Love Me?” is yet another slow ballad from Cusic, this one the tale of a person left Ireland long ago separating himself from his one true love , thinking of her often and wondering if she still thinks of him. “The Last One” is another slow ballad, this one ruminating about the emotions of end of life situations. It’s rather a sad song and one that could never sound sincere in the hands of a younger artist. “Am I Still Country” is another Don Cusic song, a wry tongue-in cheek ballad that pokes fun of bro-country and poses the essential question ‘Am I Still Country Or I Have I Gone Too Far?’ I love the song and think that in different circumstances the song could have been a hit. The production on this album features a good dose of fiddle (Glen Duncan) and steel guitar (Chris Scruggs). The album clearly is aimed at older listeners as the younger listeners mostly won’t relate to these songs, although these songs chronicle what eventually will happen to most of us. Younger listeners may not relate to these songs but they certainly could learn a lot from this album. The producer of this album, Don Cusic, has had an interesting and distinguished career covering most aspects of country music. His story can be found at www.doncusic.com. Jim Ed Brown has had three separate and distinct recording careers within country music. The first career ran from 1952 to ’54 and found him paired initially with sister Maxine and later with sisters Maxine and Bonnie (1955-67). After the Browns disbanded (Bonnie and Maxine left to raise families), he had a successful career as a solo artist for the next eight years (1967-74). Then, after his solo career as a hit-maker ground to a halt, he took on a third wind with a series of successful duet recordings with Helen Cornelius. Born in 1934, in Sparkman, Arkansas, Jim Ed Brown was one of five children (two boys and three girls) of a struggling lumberman and his wife. Like many rural families his family would gather on Saturday nights to listen to the Grand Ole Opry on a battery powered radio. Brown and his older sister, Maxine, were especially interested in what they heard on the radio and soon began singing together. Within a few years they were performing on local radio shows. By Brown’s second year of college, he and Maxine were regulars on the Barnyard Frolic on KRLA in Little Rock. In 1954, they wrote their first hit song “Looking Back To See” which charted at #8 for the duo. A cover version by Justin Tubb and Goldie Hill also charted, reaching # 4. Released on the Faber label in 1954, “Looking Back To See” provided the duo with momentum, leading to membership on the Louisiana Hayride. From there they joined Red Foley as featured regulars on the Ozark Jubilee in 1955. Toward the end of 1955, younger sister Bonnie joined the act and they scored their second top ten record with “Here Today and Gone Tomorrow.” With encouragement from their former Faber label mate Jim Reeves, RCA signed the group in 1956, and two Cashbox #1s followed with “I Take the Chance” and “I Heard the Bluebird Sing” (both fell just short of #1 on Billboard). In 1957, Jim Ed was invited to join Uncle Sam for a two year stretch in the US Army. By the time he returned in 1959, RCA had become immersed in the ‘Nashville Sound’ and the label pointed the group toward the pop charts, succeeding in a big way with “The Three Bells” which was #1 for ten weeks and spent four weeks at #1 on the pop charts and sold millions of copies. This was followed by “Scarlet Ribbons” (#7 country/#13 pop) and “The Old Lamplighter” (#20 country / #5 pop). In 1962, the trio joined the Grand Ole Opry.